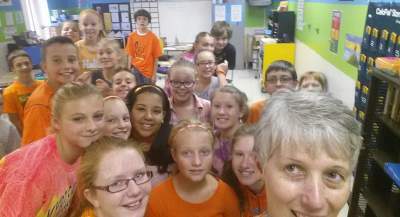 Influenced by an online class of Jo Boaler as well as the work of Carol Dweck, Amy Rice, a mathematics teacher at Keyser Middle School, is changing the mindsets of her students. On Boaler’s youcubed website, Amy was delighted to find what Boaler entitled, “A Week of Inspirational Mathematics.” The tasks that are included encourage students to see mathematics as a “broad , interesting and visual subject that involves deep thinking.” It also includes important growth mindset messages that will increase students’ confidence causing them to persevere with difficult problems and use their mistakes as a springboard to greater learning. 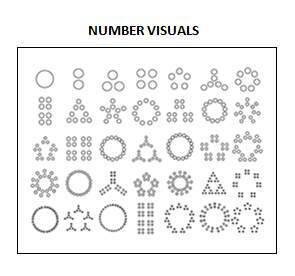 In one of the scenarios “Number Visuals,” students investigate different representations of numbers. Amy’s seventh grade students immediately were engaged in noticing what happened in each representation from “all the circles are primes” to “look at the factors in this one.” When students were asked to create their own visual representation for the number 36 as a homework assignment, they shared their ideas in a gallery walk the following day. Armed with post-its, students commented on their classmates’ work using vocabulary like “I noticed you used the factors in a different way” or “I like how you justified your method” or “You did a good job verifying your thinking.” They were eager to ask each other questions as they were curious about the various ways that other students had created their representations. This investigation provided students with an opportunity to make connections between numbers and pictures that clearly not only deepened the students’ understanding, but also provided an environment that encouraged them to take risks to further their learning.